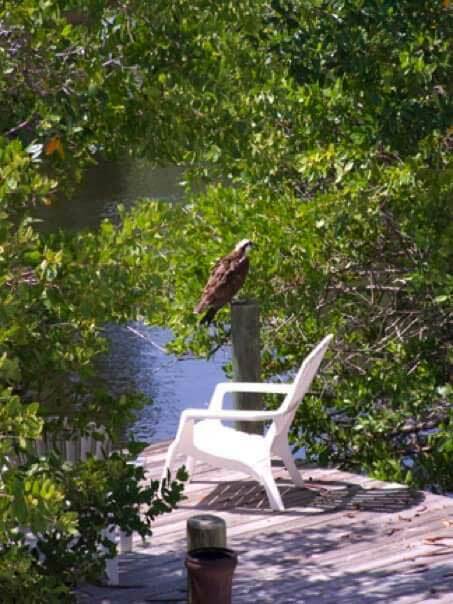 There’s a small spring-saltwater fed lake in Holmes Beach that many people pass by and never notice. The neighborhood lake with a pocket park on Holmes Boulevard lies between 68th and 70th streets in Holmes Beach. But those whose homes surround it say problems continue to impact the health of the once pristine waters of Spring Lake. After nearly three years of complaints, the city of Holmes Beach again is testing Spring Lake to determine the health of the lake waters. Residents Melissa and Frank Williams say the smell is horrible some days, just like raw sewage. They say the fish that hung out under their backyard dock and the birds and other wildlife that frequented the lake have disappeared. They are concerned for the environmental health of the lake and its marine and wildlife. Bob McCaffrey, who has lived on Spring Lake for 28 years, agrees, calling the lake “murky and cruddy” in July. The lakefront residents are looking for the same thing: Answers. 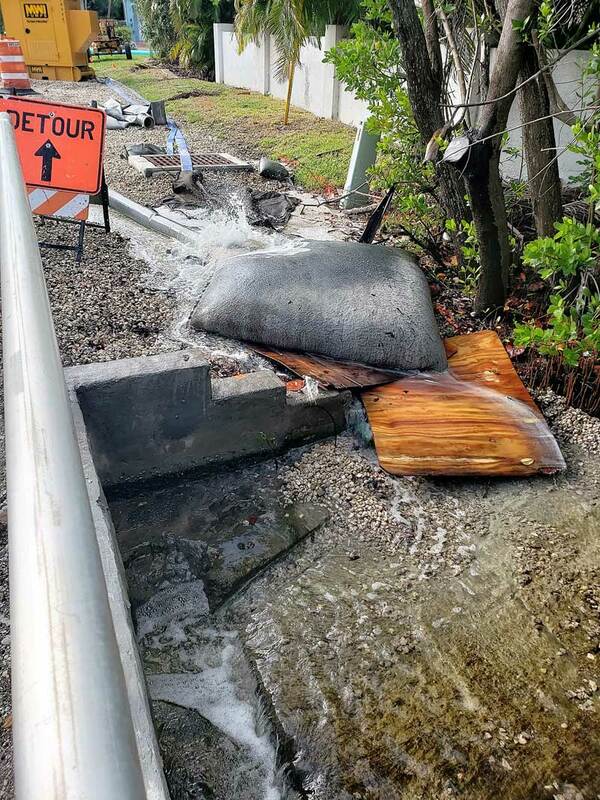 The lake, which is fed by tidal flow through underground pipes connected to the canals that terminate on Marina Drive, experienced a major sewage spill in October 2015, when a county sewer force main broke near the intersection of Clark and Palm drives. The county public works department estimated 22,000 gallons of wastewater spilled into the lake, resulting in the death of hundreds of fish and crabs. A county report said a stormdrain structure placed atop the force main proved too heavy and crushed the lower pipeline, resulting in the spill. State and local authorities cleared the lake in less than two weeks following the 2015 spill, saying that f. coli and enterococcus sewage contamination levels had returned to background levels. However, those who live in the area say the water quality never returned to normal. The county has maintained the lake had problems before the spill in 2015, and that a fish kill occurred just prior to, not after, the sewer main break. Complicating the issue: A local contractor was found to be discharging water into the lake during construction of a swimming pool. Building debris also found its way into the lake during a subsequent storm and again, later, during Hurricane Irma. On Aug. 21, wastewater again flowed into Spring Lake when a worker with the current Manatee County Force Main Project hit a wastewater line. A pump and generator were added near a storm drain and bladders were positioned to filter the runoff. County officials were adamant no further sewage spills occurred in the recent damage. “They were just doing their work. It was human error. (The county is) required by law to report any sewage spillage. There were no sewage issues this time. 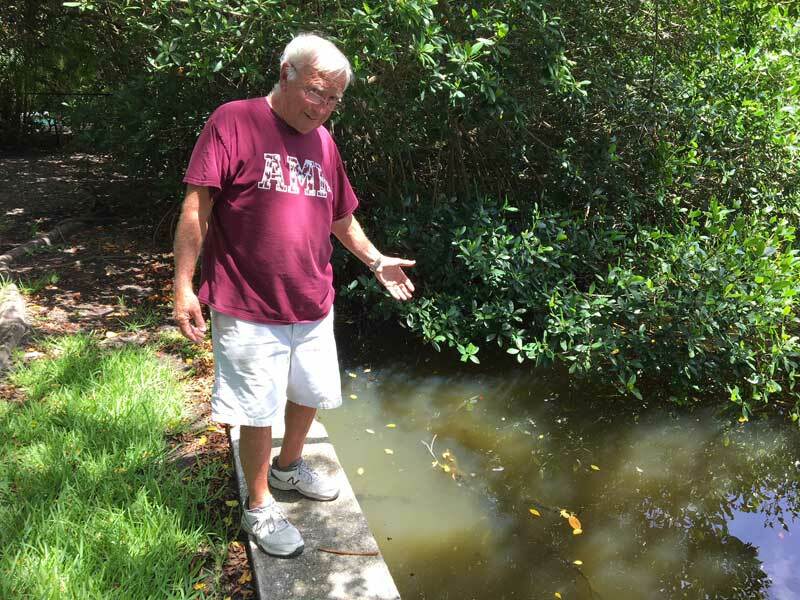 There might have been a smell, but there were no sewage issues,” Amy Pilson, liaison to Manatee County Utilities Public Works, told The Islander Sept. 6. Now there is movement in decoding the source of Spring Lake’s poor conditions, which residents have been requesting for more than two years. 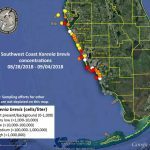 The water in Spring Lake is again being tested, this time by Aquatic Systems Lake and Wetlands Services of Sarasota, at the request of Holmes Beach officials. Code enforcement offer JT Thomas, called to the lake by the residents complaints on more than one occasion, understands their frustrations. Thomas, along with HBPD Sgt. Vern McGowin, looked at the lake again Sept. 6 after having checked out the bladder system that was put in place several weeks earlier by county workers. It was an “unofficial visit, said Thomas, who was struck by the stillness of the lake. “There was no movement, no ripples. It was just so still. Nothing,” Thomas said. 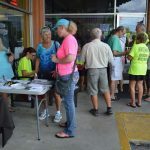 He was pleased to learn of the new round of water quality testing by the private company, which will send findings to Holmes Beach officials and the state. “We can complain and keep asking,” Thomas said. Like the lakefront residents, Thomas indicated the city wants to see Spring Lake thrive again.